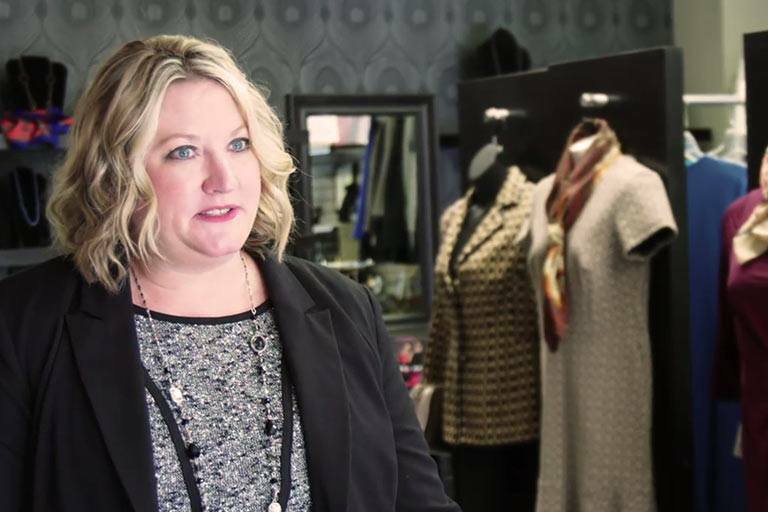 As the executive director of Dress for Success Louisville, IU alum Michelle Dayvault has helped more than 700 women in the southern Indiana region (and the Louisville metropolitan area) take steps towards economic independence. Most clients come to Dress for Success for the Suits for Success program, where they can pick professional attire in a boutique consisting entirely of donated suits, dresses, shoes, and accessories. But they also have access to professional development courses, mock interviews, career readiness programs, and more. Dayvault discovered her calling to make a difference in the lives of others shortly after graduating from IU Southeast in 1996 with a degree in speech communication. After stints with Metro United Way, Susan G. Komen Breast Cancer Foundation, and the Make-A-Wish Foundation, Dayvault was named executive director of Dress for Success Louisville in March 2017.